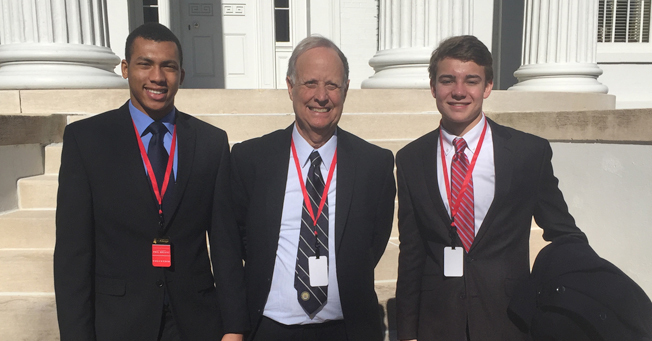 At least four JA students took part in the inauguration festivities of Gov. Phil Bryant this month, serving in volunteer roles for the day, for the evening, or during the week leading up to the event. 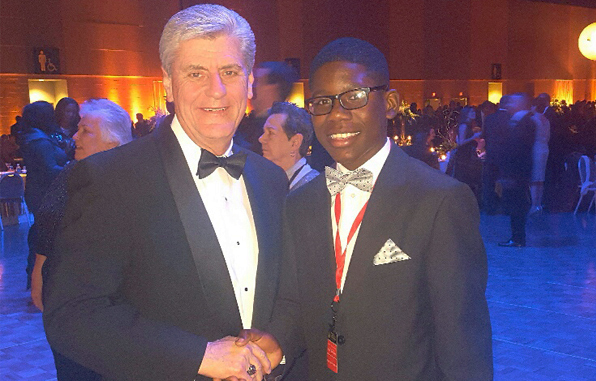 Kelvin Gardner, a JA eight grader, served as a greeter at the inauguration. He was among five students selected for this role by Kathy Henry, an educator who has held committee and board appointments from three Mississippi governors and currently serves on the Mississippi Parole Board. While serving as a greeter, Kelvin had the chance to meet the governor. He also helped with organizing, packing gifts, checking tickets, and assisting in the VIP room, which hosted small groups of guests such as college presidents. Henry says when recommending students for these volunteer roles, she looks for students with potential and encourages all teens to be involved in their communities, try different things, and meet new people. 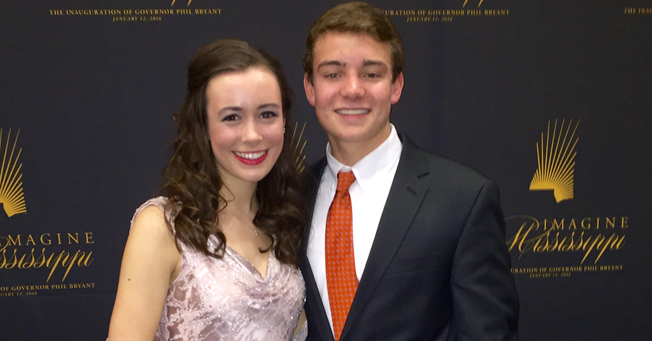 Hays Rogers, a JA senior, spent inauguration week shadowing staff and working on multiple inauguration activities. As a result of his earlier participation in Boys State, Hays was asked by Steve Guyton to work the week of inauguration. Guyton, a staff member of Sen. Roger Wicker and U.S. Rep. Gregg Harper, encourages students to get involved by volunteering their time. Often these volunteer experiences help young people meet professionals who will be important connections later, Guyton says. Guyton said Hays was instrumental in preparation and implementation of a number of events of the week, including working at the prayer breakfast and the parade, preparing packets, helping with decorations, and many other activities. Hays had a chance to be present at the official swearing in of Gov. Bryant; received a tour of the Governor’s Mansion; met the governor, his staff, and legislators; and attended the Governor’s Ball. Currently, Hays serves as JA’s student body vice president, and he plans to study government at the University of Mississippi next year. Hays previously worked on the Stacey Pickering campaign for state auditor. Junior Olivia Rule and senior Glennis McWilliams volunteered on Monday preparing for the Governor’s Ball with duties in event set up and decorations. They both attended the ball. While working at the inauguration Hays reconnected with a fellow Boys State alumnus, Ralph Moore, a candidate for the United States Naval Academy and the United States Military Academy.